Los Angeles alternative metal act, DIRTY MACHINE, have released their latest single “Against the World”, produced by Ulrich Wild (DEFTONES, BREAKING BENJAMIN, STATIC-X, PANTERA) and mastered by Joshua Wickman (KING 810, WITHIN THE RUINS). 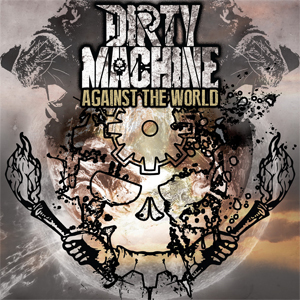 DIRTY MACHINE recently inked a worldwide deal with Zombie Shark Records and released their debut album entitled, Discord. The music video for “Against the World” was directed by 9ELECTRIC’s Ron Underwood, which can be viewed on KNAC.COM HERE.